Canada’s top performing fashion mall was converted into an urban streetscape emulating the vibrancy of high-street shopping. Dramatically scaled three-dimensional storefronts inspired by exterior building façades combined with the abundance of natural lighting from a seamless glass roof challenge traditional indoor shopping expectations. The impetus for this project was the dissolution of Eaton’s department store, a major anchor tenant of the shopping center, which had occupied 245,000 ft2 on three levels. 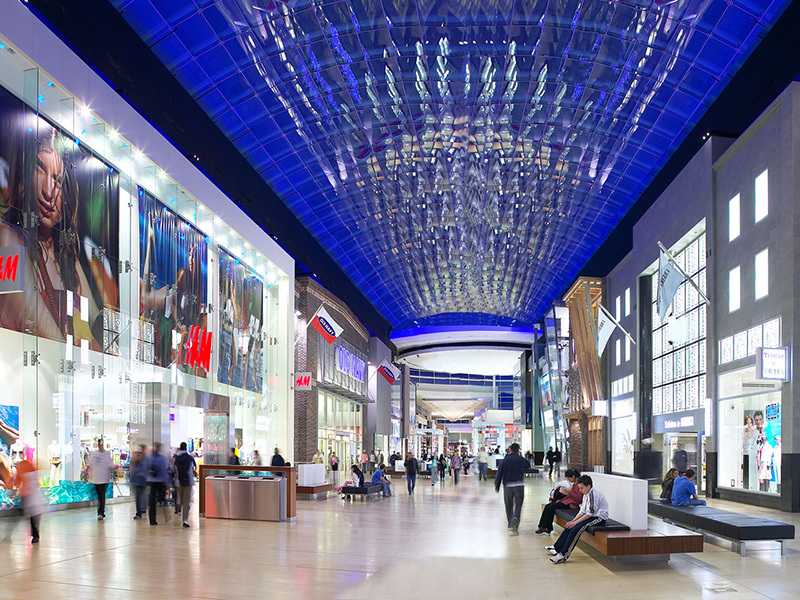 Yorkdale was the first indoor shopping center in Canada to have two-level storefronts.